My cabin bag is packed and I’m about to head for the airport – destination Stockholm. With colleagues from Wightlink Ferries, I’m taking a look at Viking Line’s flagship, the innovative Viking Grace. Powered by liquified natural gas (LNG), she sails the Baltic between Sweden and Finland and is one of 126 ships in the world to use this fuel. Norway is leading the way with this technology and will have 63 LNG ships by the end of the year. More are under construction around the world, including eight car or passenger ferries but is this really the future for this kind of vessel? Fuelling (or bunkering as it’s known in the trade) remains a major issue. Unless a shipping company can guarantee getting reliable supplies of LNG, they won’t be ordering one anytime soon. 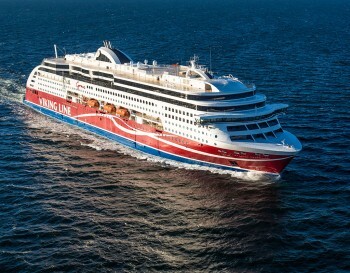 It’ll be interesting to see an LNG ferry in action and I’m told Viking Grace offers memorable food. It should be a fascinating trip – I’ll post again with my thoughts.